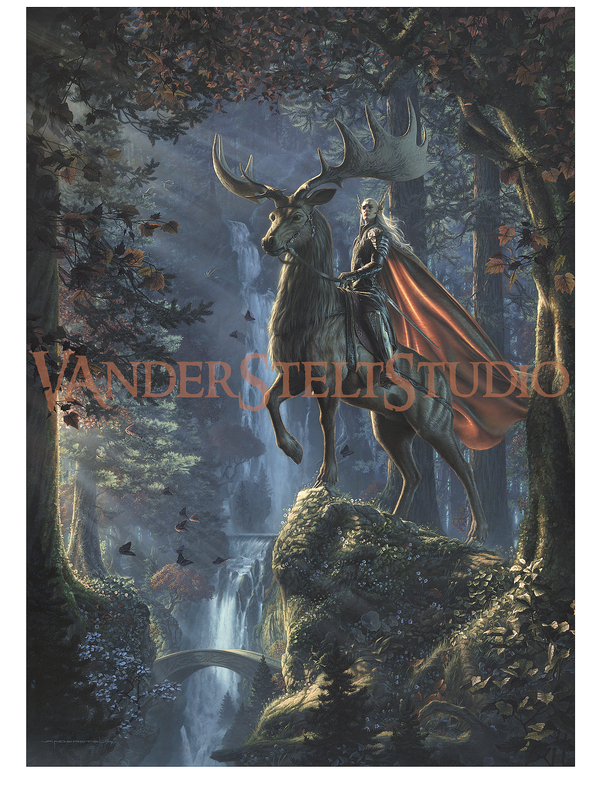 If you’re like me and you’re a big fan of Jerry Vanderstelt’s work, you’re going to love the Thranduil: King of the Woodland Realm art print and will want to add it to your collection. As you may remember a couple years ago Weta Workshop unveiled the very cool Thranduil on Elk statue. This superb print by Jerry Vanderstelt captures the same majesty as the statue, and gives you a peek at just what might have been going on around Thranduil in that moment. As always, Jerry gives fans multiple ways to add this print to their collection, ranging from a high quality paper giclee to a 28×36 gallery wrapped print. This allows fans to get something for whatever their collecting budget allows. Limited to 2000 pieces it won’t last long, so do not hesitate to snag this one today!